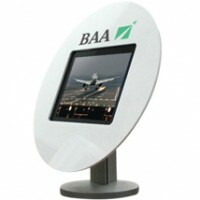 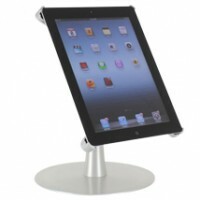 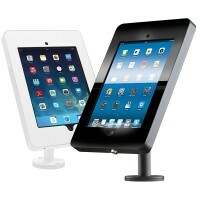 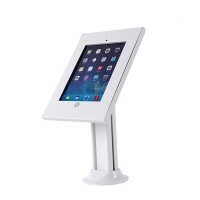 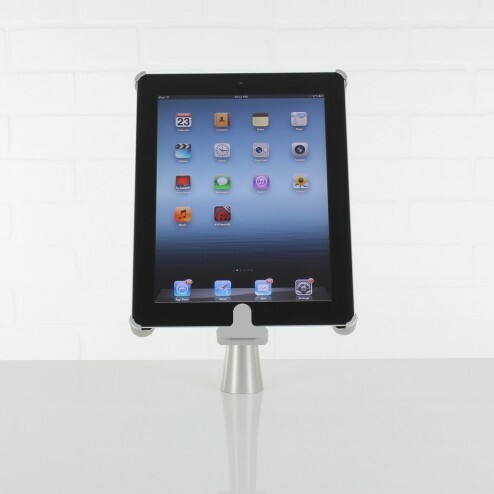 This iPad desk stand is also easily adjusted, so as to display in portrait or landscape mode with just a light push. The stand also attaches to any surface, ensuring it is completely secure and that it won’t be stolen, along with your expensive tablet! 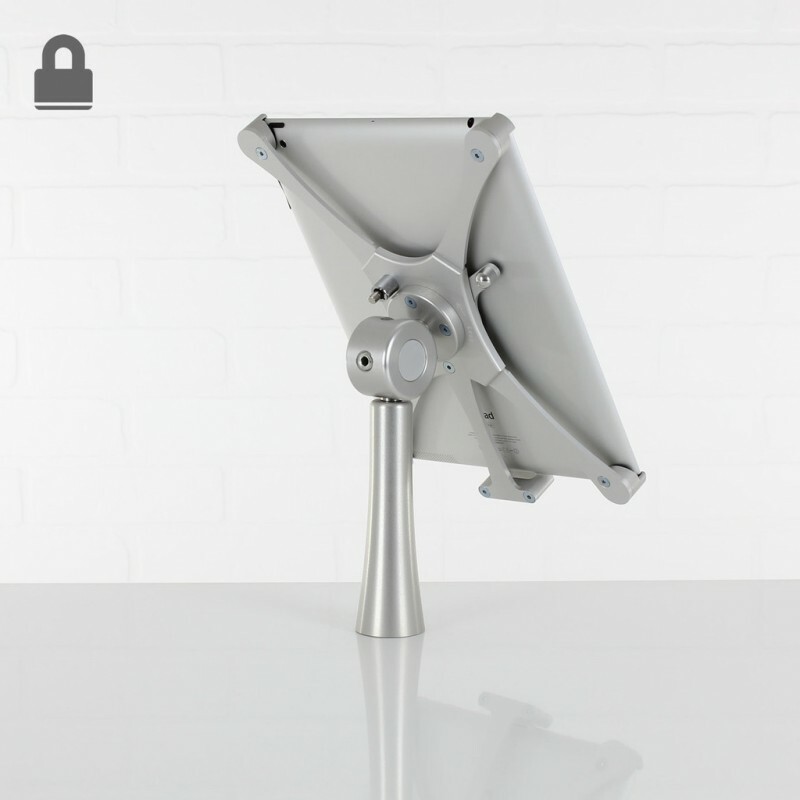 The looks are achieved by using anodised aluminium throughout the design – it looks perfect in any setting. 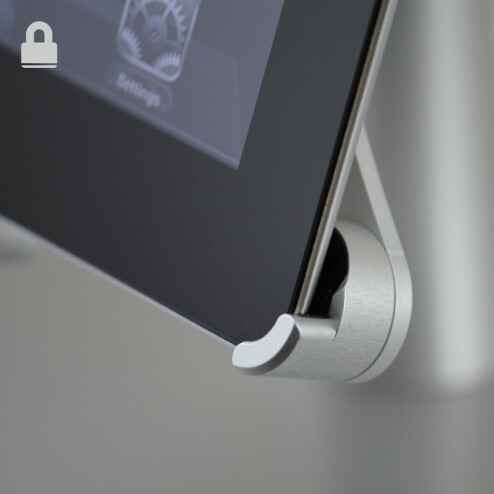 In order to make sure the page or application you want customers to see is constantly displayed, the home button can be covered (although this feature can be removed if desired). 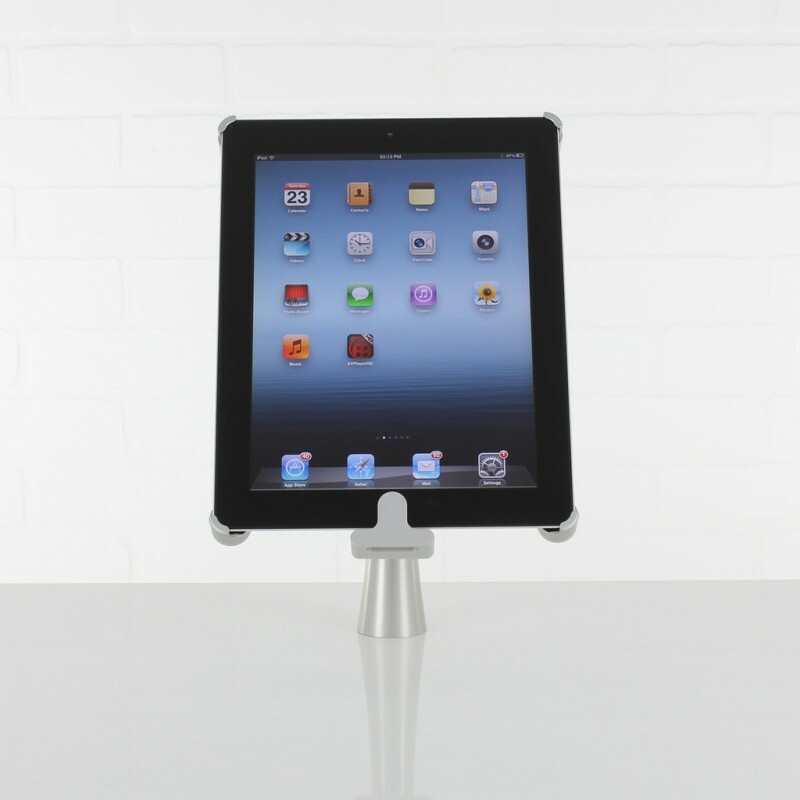 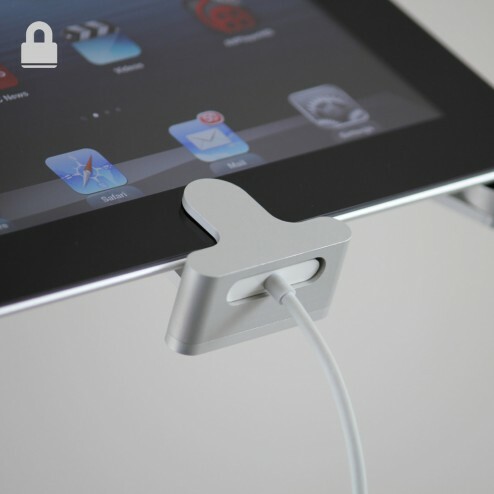 For ease of use, the iPad can be released from the iPad desk stand with just the push of a button – until it is released though, it is securely locked in place. 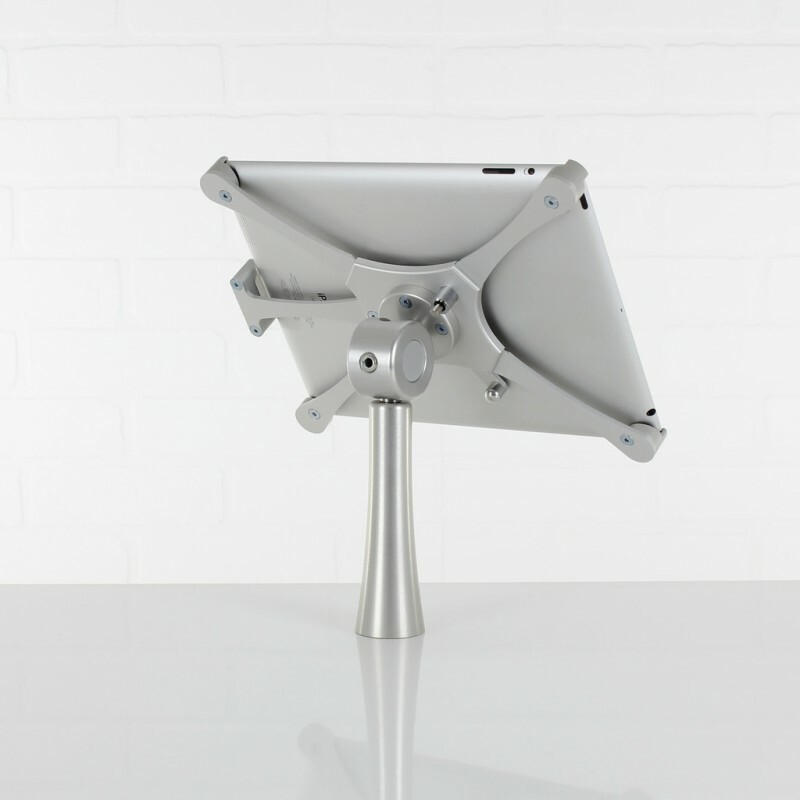 iPad 2, iPad 3, iPad 4, iPad Air, iPad Air 2, iPad 9.7", iPad PRO 9.7", iPad PRO 12.9"